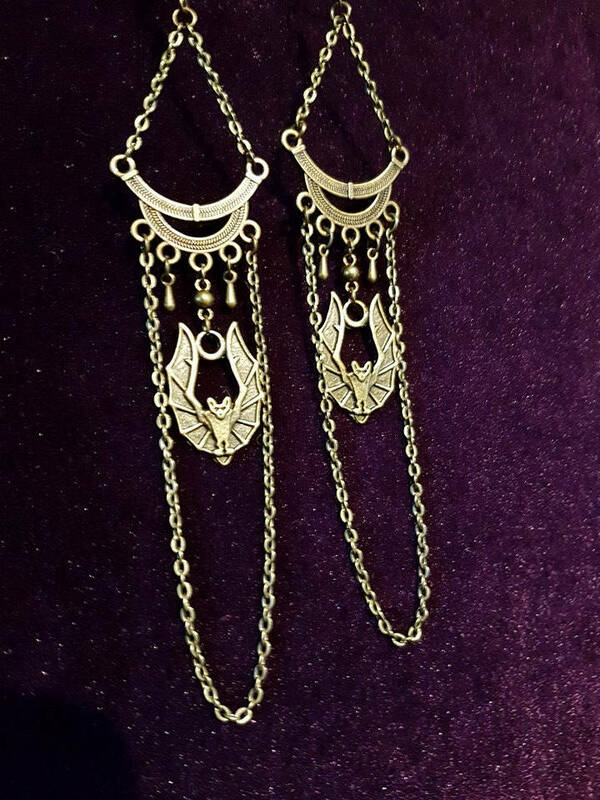 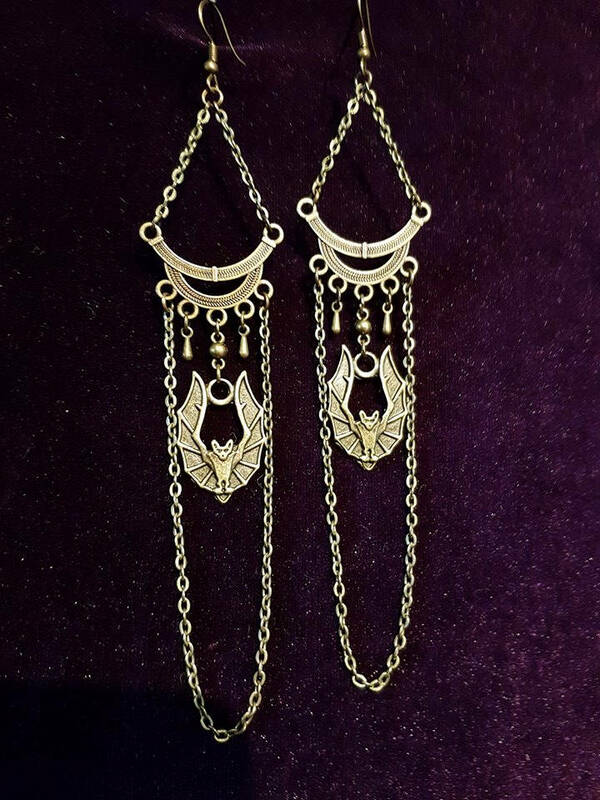 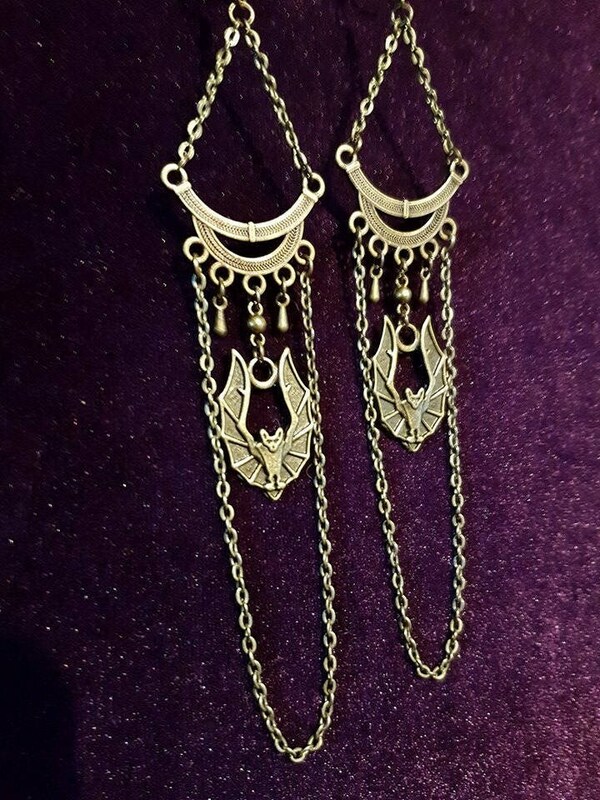 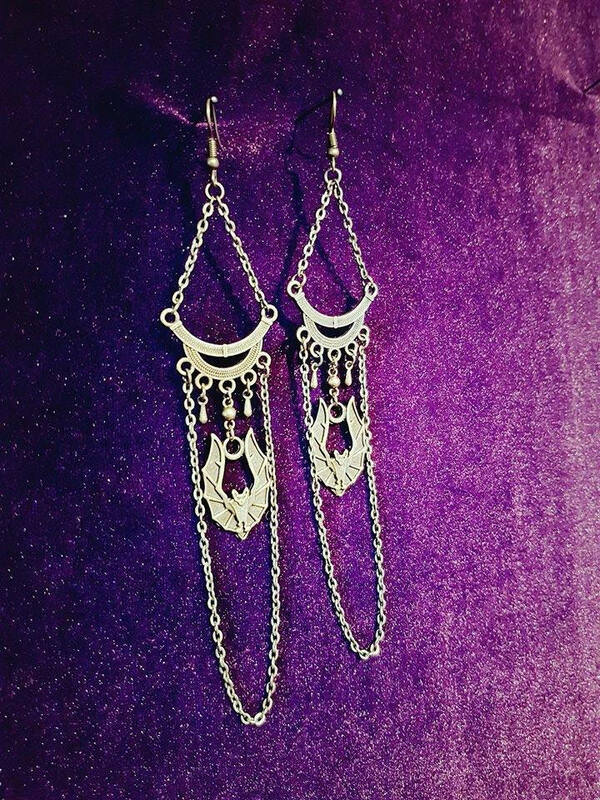 Beautiful Goth vampire Bat earrings. 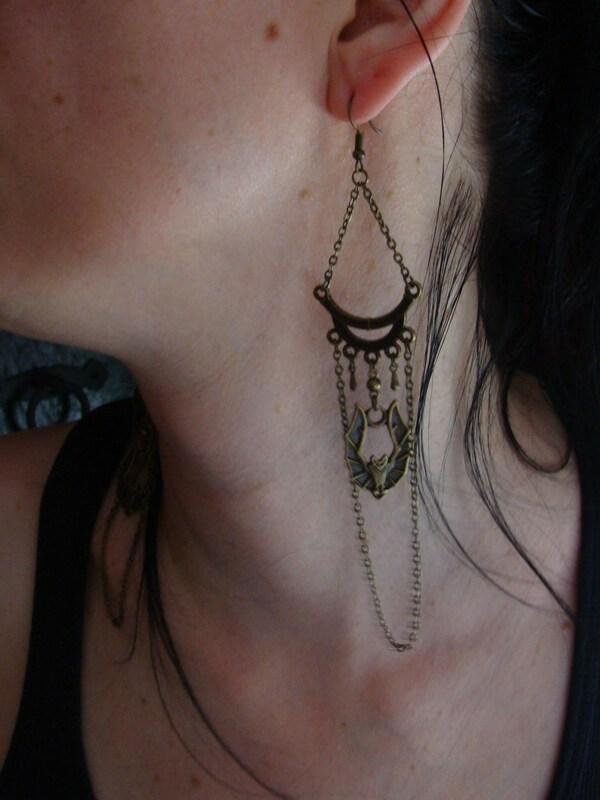 - 13 cm in lenght. 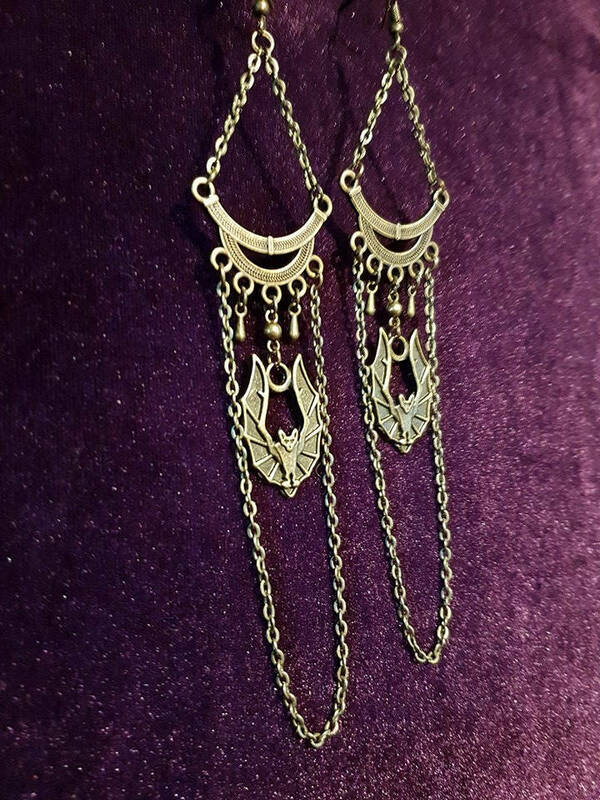 - Bat design with hanging chains.